It’s a good time of year for two of my favorite things: having a high-quality cocktail and taking the time to relax and read a good book. So this year I’d thought I’d explore the area where literature and libations connect, and share a few distilled spirits named in honor of some of my favorite authors. 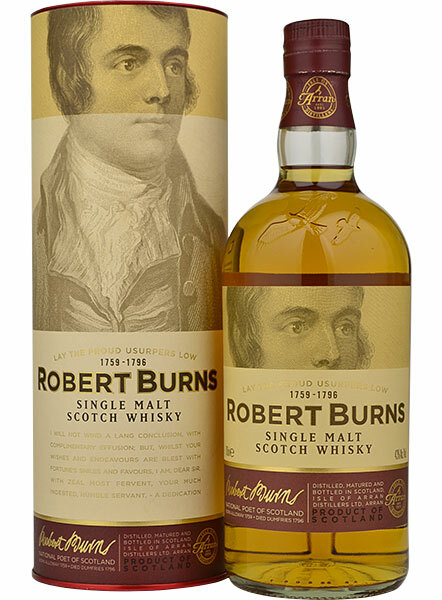 Robert Burns Single Malt Scotch Whisky: Named for Scotland’s most famous poet, the Robert Burns Single Malt Scotch Whisky is produced by the Isle of Arran Distillery. The distillery’s website describes the whisky’s appearance as resembling “Ayrshire sunshine,” a reference to Ayrshire, the poet’s place of birth, which is just across the Firth of Clyde (a 14–mile wide inlet of the Atlantic Ocean) from the island of Arran. This delightful whisky—redolent of apples, vanilla, apricot, honeysuckle, and smoke—is good just about any time you might fancy a dram; however, there is no excuse not to have a glass or two on Burns Night. Burns Night (also known as Robbie Burns Day) is an annual celebration of the poet’s January 25th birthday. The holiday is often marked with a Burns dinner featuring Scotch whisky, poetry recitations, bagpipers, and a main dish of haggis (as noted in Burns’ famous poem, “Address to a Haggis”). 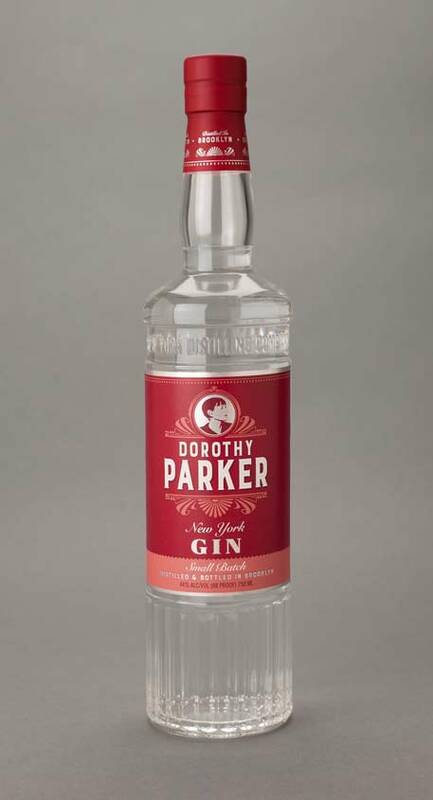 Dorothy Parker Gin: Dorothy Parker gin is produced by Brooklyn’s New York Distilling Company. Dorothy Parker Gin is named for New York City’s witty, wise-cracking poet, critic, and short-story author, best-known as a founding member of the Algonquin Round Table. Dorothy reveled in her martinis and as such, she seems to be the perfect character to be honored on the label of a bottle of gin. According to their website, Dorothy Parker American Gin is flavored with “a blend of traditional and contemporary botanicals including juniper and elderberries, citrus, cinnamon, and hibiscus.” They’ve even created a cocktail known as “The Acerbic Mrs. Parker” that combines the gin with fresh lemon juice, hibiscus syrup, and orange liqueur. 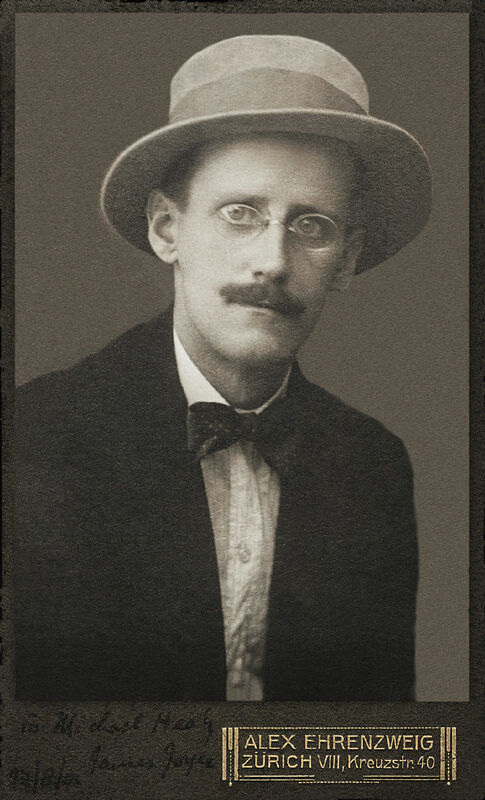 James Joyce No. 15 Single Malt Irish Whiskey: James Joyce No. 15 Single Malt Irish Whiskey, named after Ireland’s famed novelist, short story write, and poet—best known for Ulysses, Finnegans Wake, A Portrait of the Artist as a Young Man and the short story collection Dubliners—is a bit of a unicorn bottle. It’s a private label, limited edition (only 15 barrels) Irish whiskey produced by Bushmills Distillery and bottled in 2016 for the James Joyce House in Dublin. (It was also priced at 250 Euros, at least on the internet). The name of the whiskey honors the address—No. 15 Usher’s Island—of the famous “House of the Dead,” featured in Dubliners. I haven’t had the opportunity to taste this rare spirit, however, according to the website of the L. Mulligan Whisky Shop, it has flavors of fruit (citrus, grapefruit, green apple), spice (cinnamon), and chocolate, with a bit of tannin and wood on the finish. Do you have any favorite spirits named after an author?